Mexican filmmaker Alfonso Cuaron's semi-autobiographical black-and-white drama, Roma, and Yorgos Lanthimos' dark comedy, The Favourite, emerged as big winners at the 72nd edition of the BAFTA Awards. The Favourite, which had 12 nominations, dominated the ceremony with seven wins, including for leading actress (Olivia Colman), supporting actress (Rachel Weisz) and outstanding British film. Roma, Curaon's memoir of childhood set in 1970s Mexico City, claimed the top prize of best film, alongside director and cinematography honours. Roma also won the BAFTA for film not in the English language. 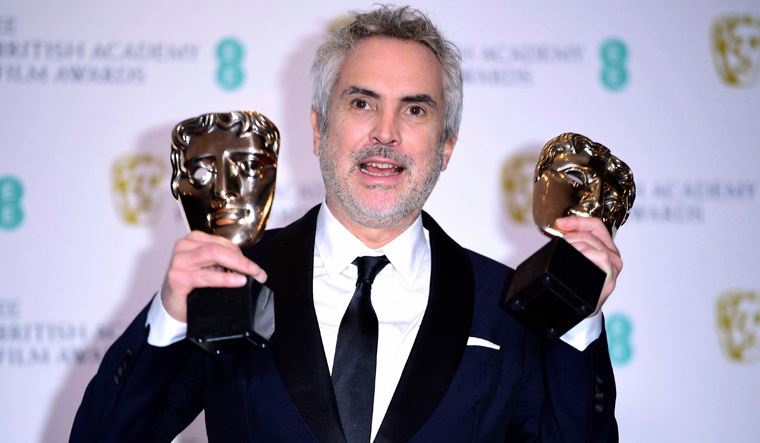 Cuaron thanked Netflix for having the "faith and courage to get behind a black-and-white film about a domestic worker, subtitled from Spanish, and bring it to audiences around the world. To see a film about an indigenous domestic worker embraced this way in an age when fear and anger propose to divide us means the world to me. "Reverting back to a world of separation and isolation is not a solution to anything. It is simply an excuse to hide our fear within our basest instincts." Colman, who won best actress for her role as Queen Anne in The Favourite, drew some of the biggest laughs and applause of the ceremony from the audience for her speech. She started by thanking "All the producers. We're having an amazing night aren't we? We're going to get so pissed later." The actor went on to thank her co-stars Weisz and Emma Stone, calling them "the coolest honour guard anyone could have." Colman said they were all leads and it was "weird" only one of them could be nominated for lead. "This is for all three of us. It's got my name on it but we can scratch in some other names," she said. Weisz, who claimed the best supporting actress trophy, defeated co-star Stone, Amy Adams (Vice), Claire Foy (First Man) and Margot Robbie (Mary Queen of Scots) in the category. "I had the most extraordinary luck in that I played opposite two of the most glorious women: Olivia Colman and Emma Stone," she said following her maiden BAFTA win. First-time nominee Rami Malek took home the best actor award for his portrayal of Queen frontman Freddie Mercury in biopic Bohemian Rhapsody. Malek thanked Mercury, who he called "the greatest outsider of them" for being "unwavering, unflinching and uncompromising in every way". The film also won the award for best sound. Mahershala Ali nabbed the best supporting actor trophy for Peter Farrelly's Green Book. He was nominated alongside Adam Driver (BlacKkKlansman), Richard E Grant (Can You Ever Forgive Me?) Sam Rockwell (Vice) and Timothee Chalamet (Beautiful Boy). "The work itself has always been the reward for me so to get this sort of thing is always a bit surreal," Ali said in his acceptance speech. It is Ali's first BAFTA having been nominated in the same category two years ago for Moonlight, for which he won an Oscar. The Favourite writer Deborah Davi, who picked up the original screenplay award along with Tony McNamara, thanked BAFTA for "celebrating our female-dominated movie about women in power". Black Panther actor Letitia Wright won the EE Rising Star Award, the only award voted for by the public. "I want to thank everybody who gave me a chance," said Wright. The actor said she had previously considered giving up acting but her faith had helped her through. Wright encouraged "anybody that is going through a tough time" to know that "God made you and loves you. Let your light shine". Black Panther won the prize for special visual effects, the only category in which it was nominated. Spike Lee registered his first BAFTA with BlacKkKlansman in the adapted screenplay category, while Spider-Man: Into the Spider-Verse took home the award for best animated film. A Star is Born, which was nominated in seven categories won the best original song award. The trophy was collected by director and star of the film Bradley Cooper as Lady Gaga was off to Los Angeles to attend the Grammy awards. The ceremony's in memorium section paid tribute to figures such as Albert Finney and Nicolas Roeg, with saxophonist Jess Gillam playing the title track from Love Story in the background. The highest honour, the BAFTA fellowship, was given to film editor Thelma Schoonmaker, a three-time Oscar winner and one of Martin Scorsese's closest collaborators, who has worked on 22 of his features. The special BAFTA award for outstanding British contribution to cinema was presented to producers Elizabeth Karlsen and Stephen Woolley of Number 9 Films.  The biggest snub of the awards night was First Man, which had seven nominations, equal to Bohemian Rhapsody, Roma and A Star is Born, but went home empty-handed. Pawel Pawlikowski's Cold War couldn't convert any of its four nominations into wins, while Can You Ever Forgive Me? ,Mary Queen of Scots, Mary Poppins Returns and Stan & Ollie also missed out on any trophies despite three nominations each.